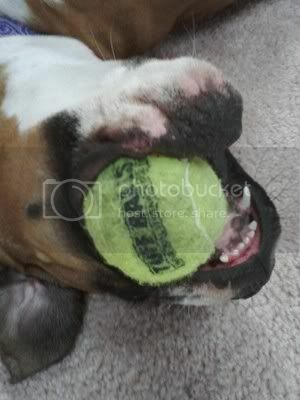 Chloe got a new tennis ball this weekend. I don't buy them all the time because she obsesses over them until she chews the cover off in only a few days. But she is so cute with her ball! Macie was enjoying the sunshine. 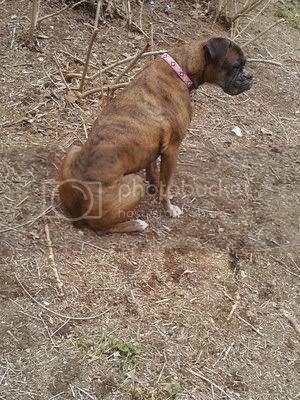 She chose to sit in the dirt left behind after I cut off those darned bushes. She almost never sits down outside so this was a rare photo opp.. 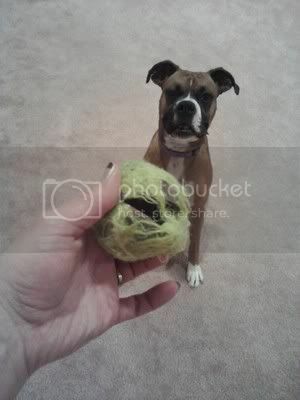 I find it amusing that she is chewing a "tuff ball" and you know she is going to annihilate it in a matter of minutes! I have about 50 old tennis balls I could give her! So cute!!! I just want to squeeze them both!!! Yep, bought it Sunday and today she has the inner ball cracked so it's all loose. It's only a matter of time before she rips off the cover and I throw it away because the inside will be in halves. She's ornery but we love her! 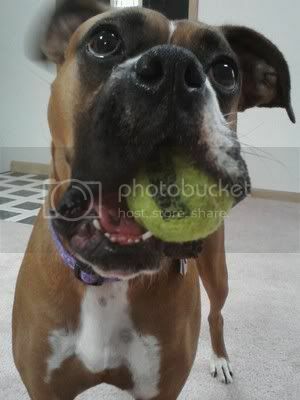 LOL She would gladly take all of your old tennis balls! Chloe wanting me to give her the ball even though you can see it is broken. Wildbeanerz- you are lucky you get a few days with your tennis balls! 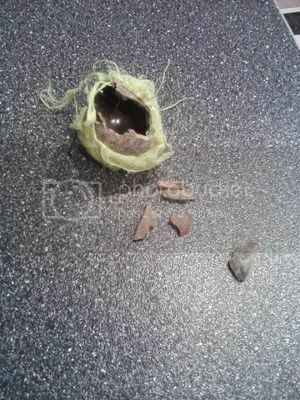 I have one dog that would keep the same ball forever... then the other one, no tennis ball is safe. He has that baby in tiny pieces in minutes! Good thing they are only a couple bucks a can. Still is the most economical dog toy for us!